Joshua Fleming joined the Rockville Brass Band in 2017. He is a recent graduate of Shenandoah Conservatory, where he received a bachelor’s degree in Music Education and a Performance Certificate in Euphonium. While at Shenandoah, he was the Director of the Buzzin’ Dozen Hornet Pep Band for two years, leading the ensemble through numerous performances throughout NW Virginia area, including Winchester’s Apple Blossom Festival Grand Feature Parade. 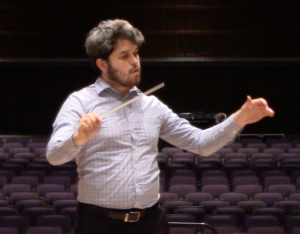 Since graduating, he has returned back to Montgomery County Public Schools as the Instrumental Music Teacher at Forest Oak Middle School in Gaithersburg, MD. He is excited to join Rockville Brass Band and continue his development into a top educator and performer!